Smoky Quartz Necklace, Amazonite Necklace, Beaded Stone Necklace. 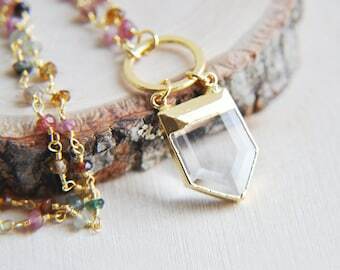 This gorgeous necklace is mixed with gold filled beads and different earthy shades of smooth amazonite that compliment the faceted hydro smoky quartz. 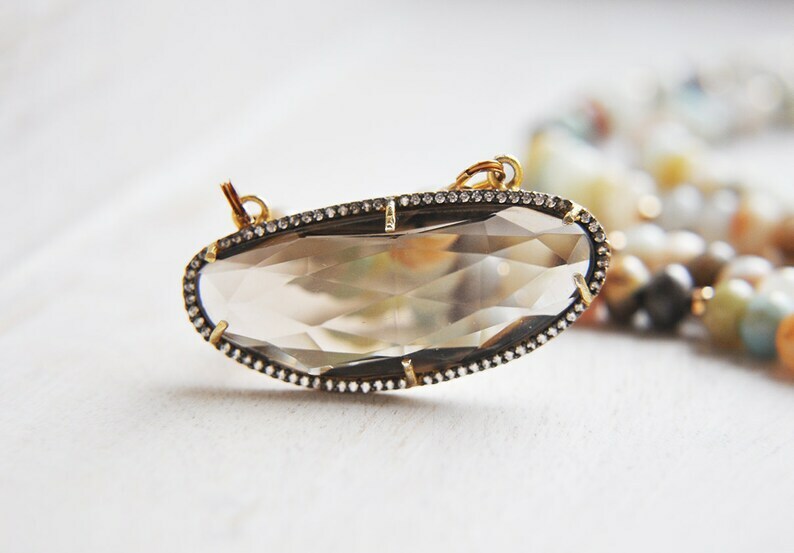 The gold plated bezel outside of the hydro smoky quartz is set with tiny cubic zirconia. Near the clasp you'll discover a smoky colored brown crystal adorned with a gold brush disc. 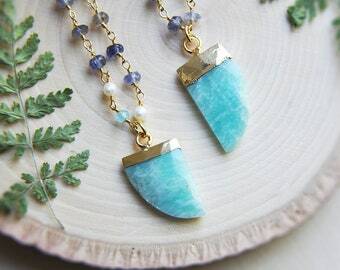 This is a very unique and one of a kind necklace. 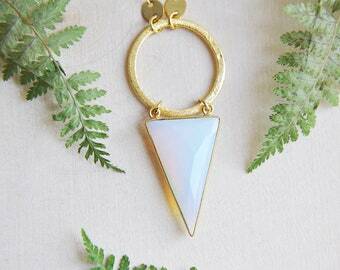 You can wear this alone or layered with other necklaces, it's a great neutral piece to style with your wardrobe. 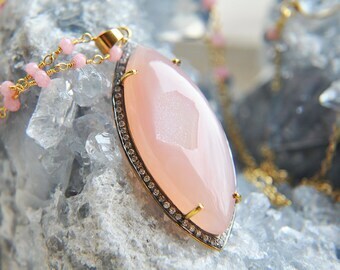 You will receive the exact hydro smoky quartz necklace as photographed. All of my jewelry arrives suitably gift wrapped ready for giving.